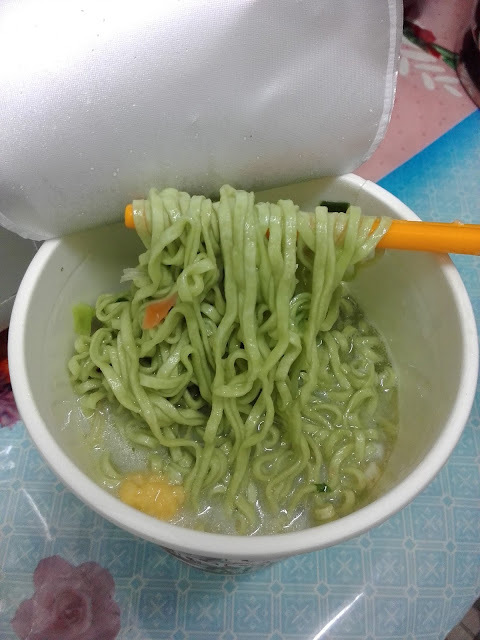 I was really excited with the Matcha seafood flavor cup noodles because Matcha is such a common flavour that is used everywhere. 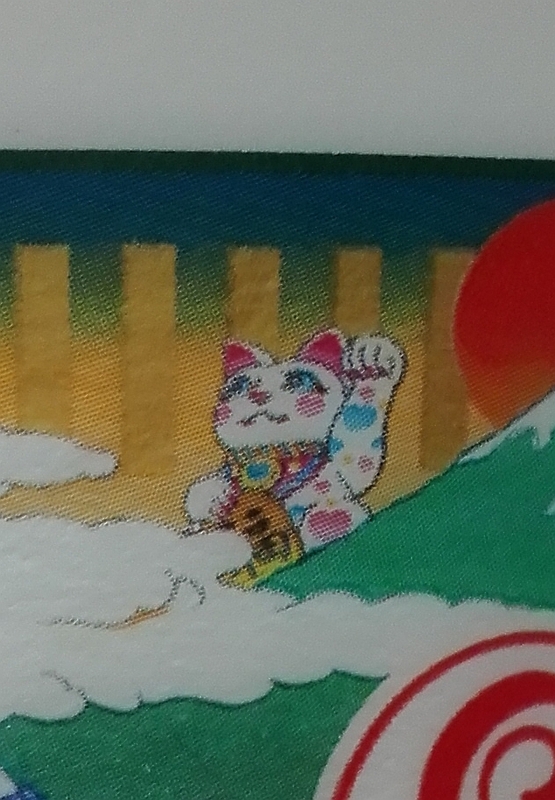 The design was also attractive, there is so much detail on it from Mount Fuji, a drome with a face on it carrying a lantern, a cute fortune cat, a geisha, a train at the bottom and lots more. 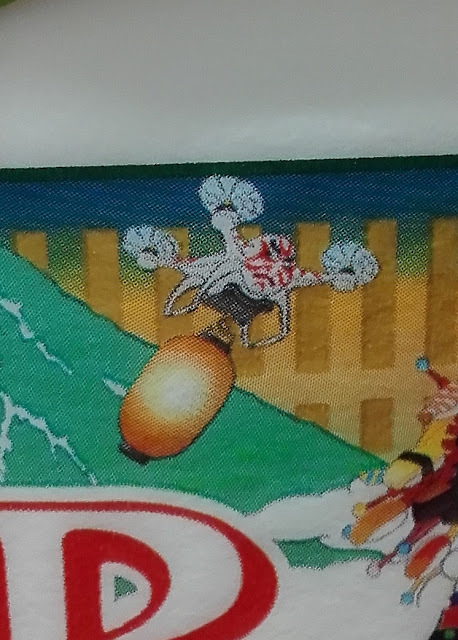 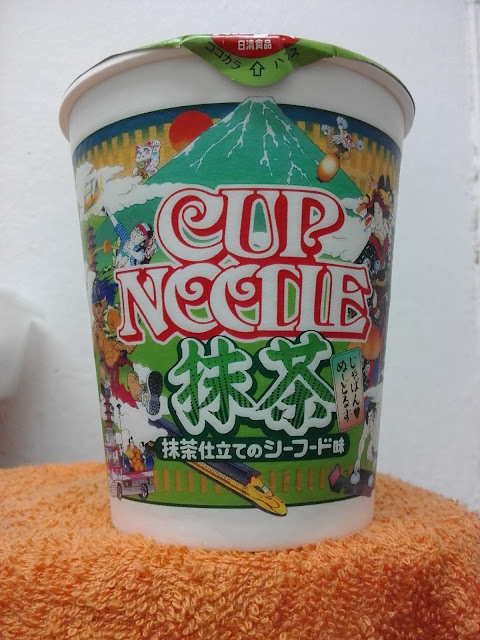 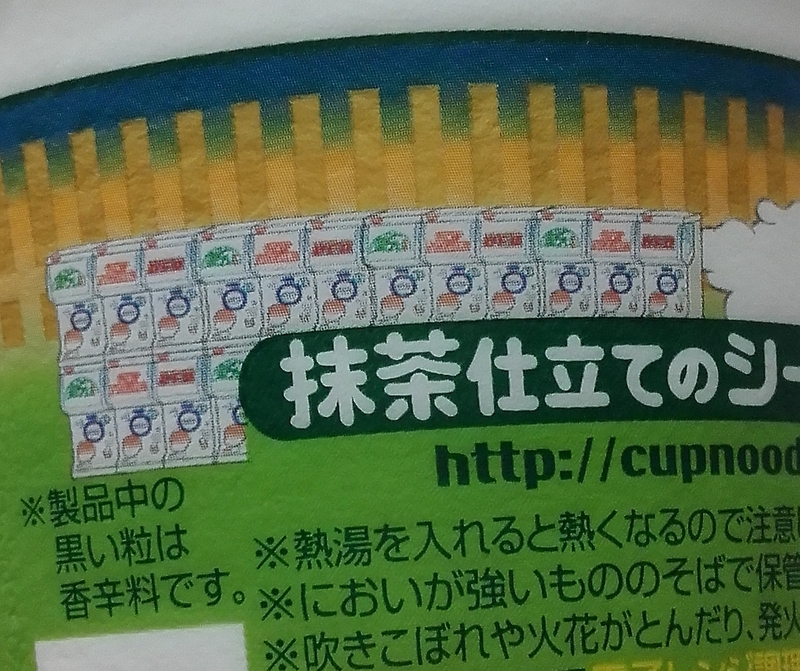 At the back, it has the usual ingredients and there is a picture of a row of capsule machines. 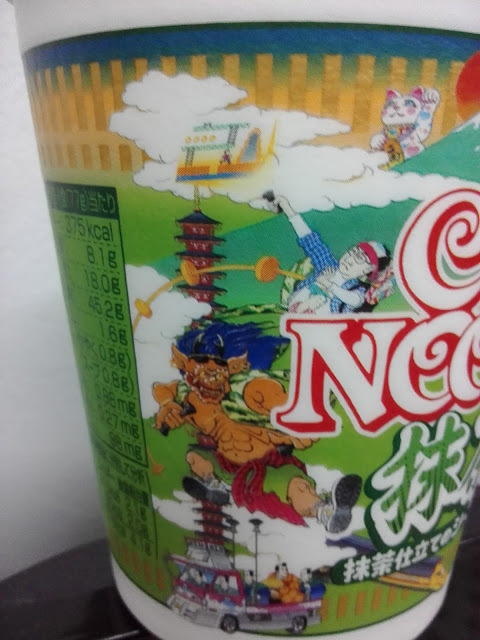 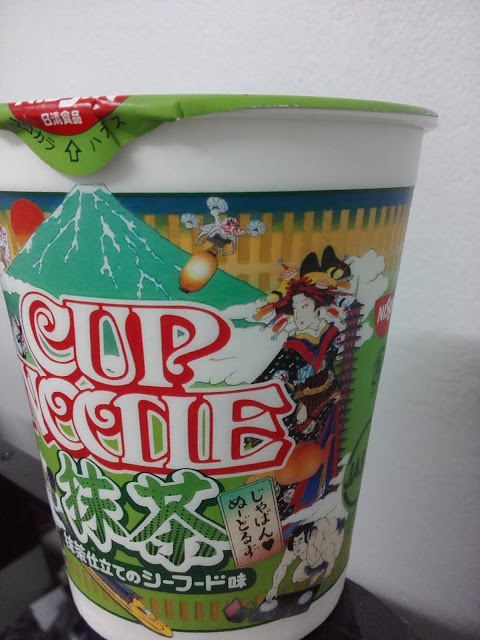 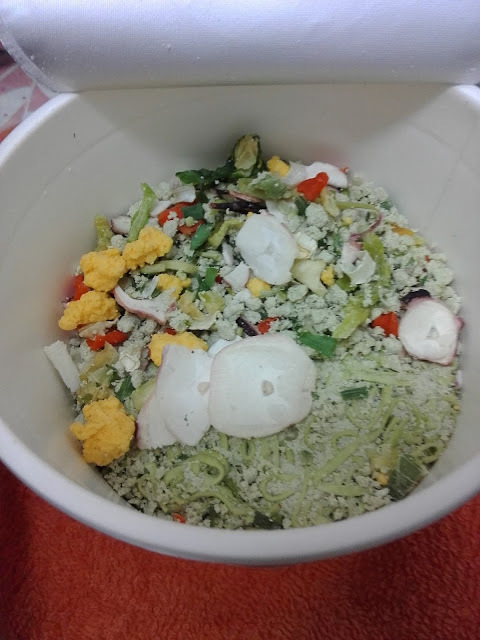 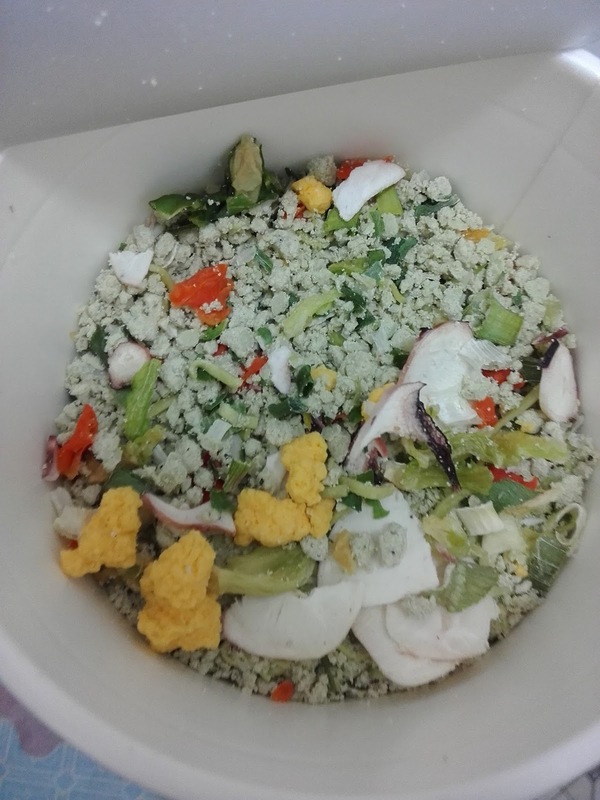 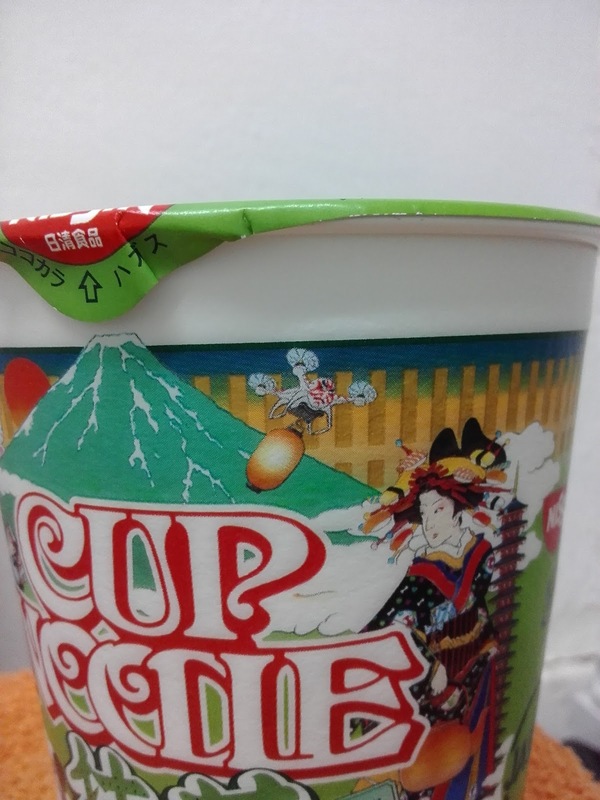 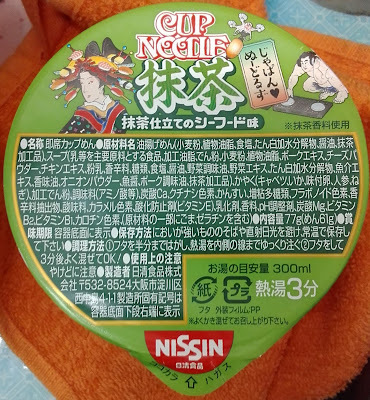 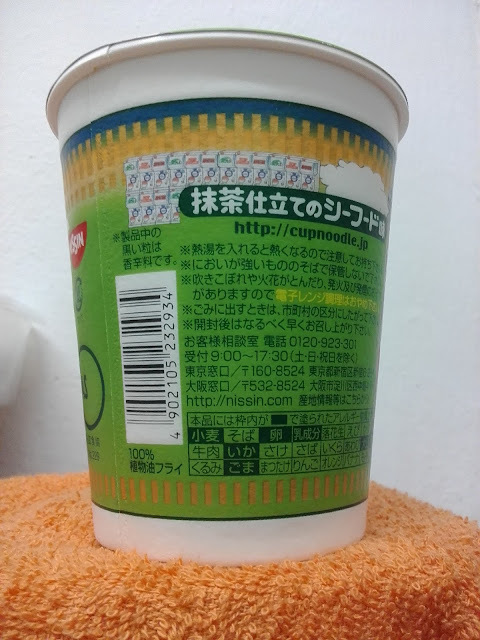 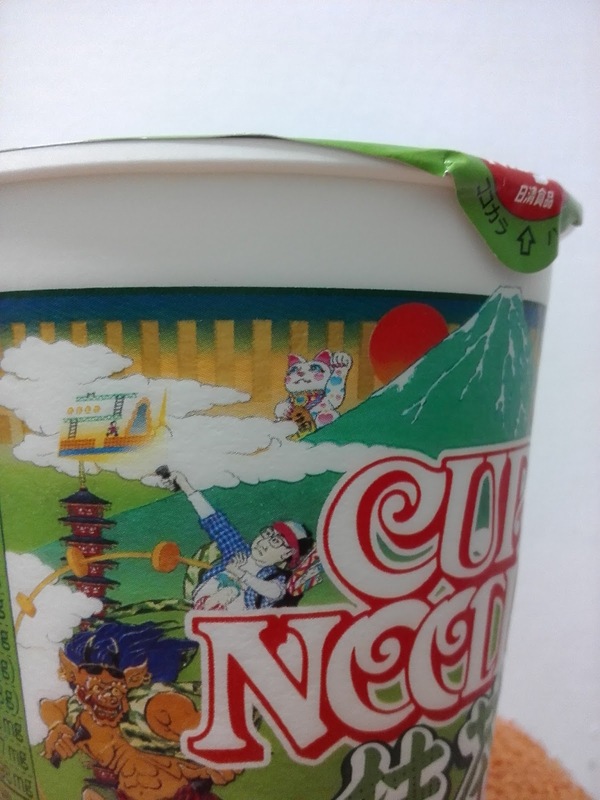 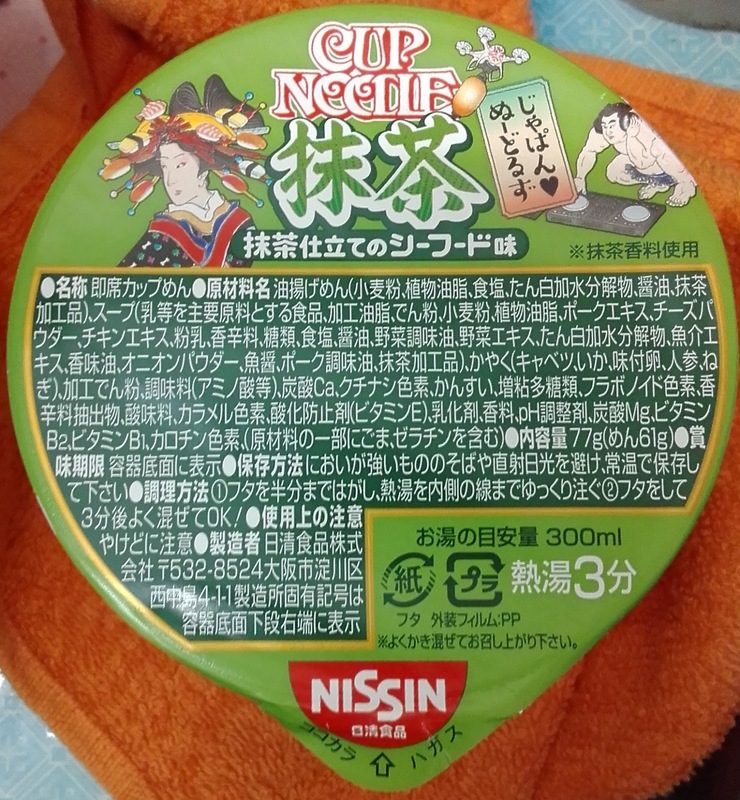 When you peel back the lid, you will see the usual contents found in a seafood cup noodle such as egg bits, octopus slices, cabbage, carrots and spring onions. 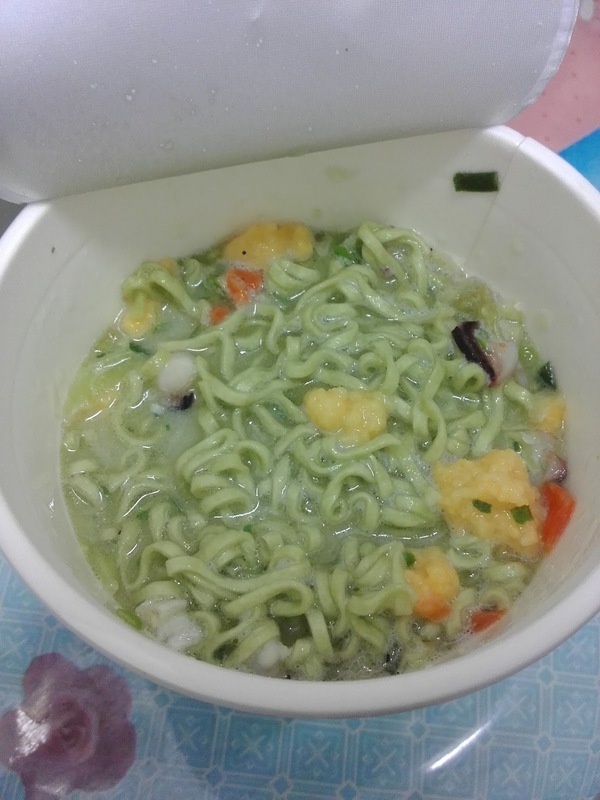 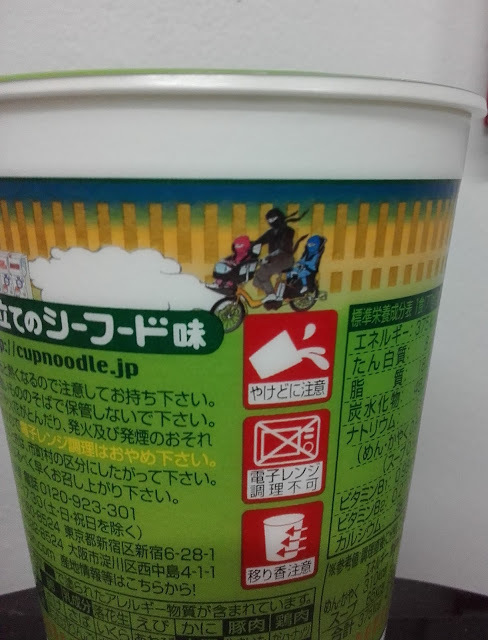 The only thing different is that the broth powder is green and the noodles are green. 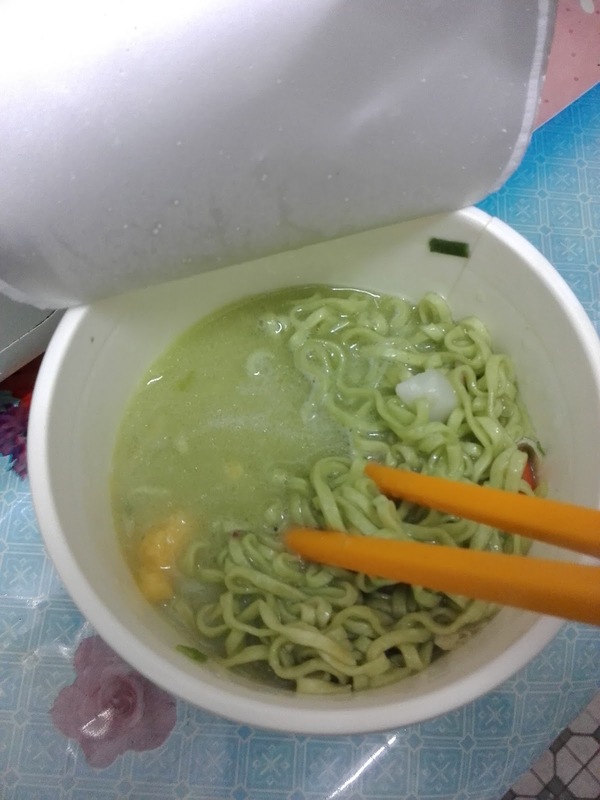 After adding hot water it was ready to eat but I couldn't quite taste the matcha.